Rochdale will have top goalscorer Ian Henderson available as they look to secure their League One status at home to Charlton, live on Sky Sports Football from 5.15pm on Saturday. The midfielder is expected to return to Dale's starting XI after serving a four-match ban. Matty Gillam is also pushing to start, having recently featured from the substitutes' bench, but Keith Keane, Andy Cannon and Niall Canavan all remain sidelined with respective groin, cheekbone and ankle injuries. Dale occupy the final relegation place, one point from safety. 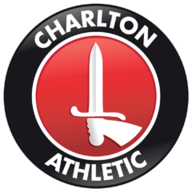 Play-off chasing Charlton, three points above seventh-placed Plymouth with a superior goal difference, will recall Joe Aribo following his recovery from a shin injury. Their interim manager Lee Bowyer is also planning to make further changes, in preparation for their expected involvement in the play-offs. Jay Dasilva is among those therefore pushing to start. Tarique Fosu's only chances of playing again this season, following a hamstring injury, are reliant on his team reaching the play-off final. Highlights of the Sky Bet League One match between Oxford United and Rochdale. The Dale have only won one of their five home league meetings with Charlton (D2 L2), a 2-0 triumph in March 2011. The Addicks have lost just one of the last six matches between these sides in League One (W3 D2), a 1-0 at The Valley in October 2016. 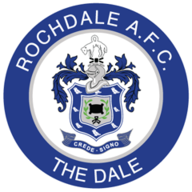 Rochdale have picked up all three points just once in their last 13 home league games (W1 D9 L3), drawing four of the last five (L1). Charlton have won seven of their last 10 season finales (D1 L2), although both of those losses have come in the last three seasons. Jake Foster-Caskey netted both goals in the reverse fixture earlier this season in Charlton's 2-1 win, against no other side has he scored more league goals (2 - also Northampton Town). Highlights of the Sky Bet League One match between Charlton and Blackburn Rovers. Sometimes only needing a point can be a little bit uncomfortable, and that is the position Charlton find themselves in on Saturday. Plymouth are three points off the Addicks with an inferior goal difference, so it will take a big swing for Lee Bowyer and Co to end up missing out. Victory for Rochdale would not be enough if Oldham also claim three points at Northampton, but they still need to push for the win to give themselves the best possible chance of survival. And I actually fancy them to do it!